In a rare appearance the School of Dual Language enjoyed a musical program by nationally renowned artist José-Luis Orozco. 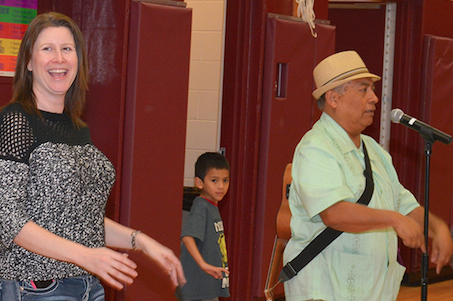 Bilingual singer Orozco prides himself in providing rich Latin American culture through his music shared with schoolchildren. 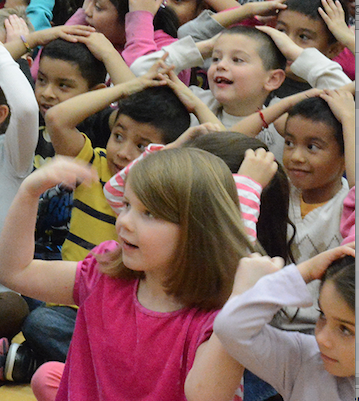 On a recent day he entertained the Vernon Hills Dual Language children in grades kindergarten through five. Mr. Orozco is a bilingual educator, children’s author, and recording artist who has dedicated his life to creating quality bilingual music, books, and videos for children. He encourages learning of the Spanish language and promotes Latin American culture through his art.